Do you hear the people sing? Singing the songs they’re making up? An epic improvised tragic musical spectacular will be arriving at the Hideout Theatre on January 12. That musical, inspired by a very popular and very French musical, has never been seen before. And will never be seen again. Because it will be completely improvised. See the stories of triumphant heroes, tragic waifs who belt out songs right before they die, wide-eyed rebels, seedy side characters, lovestruck ingenues, cold-hearted villains — and more — unfold before your eyes. Bear witness as 15 incredible musical improvisers create a Broadway-style show that should have a cast of 60, but doesn’t, because that would probably be a fire hazard. 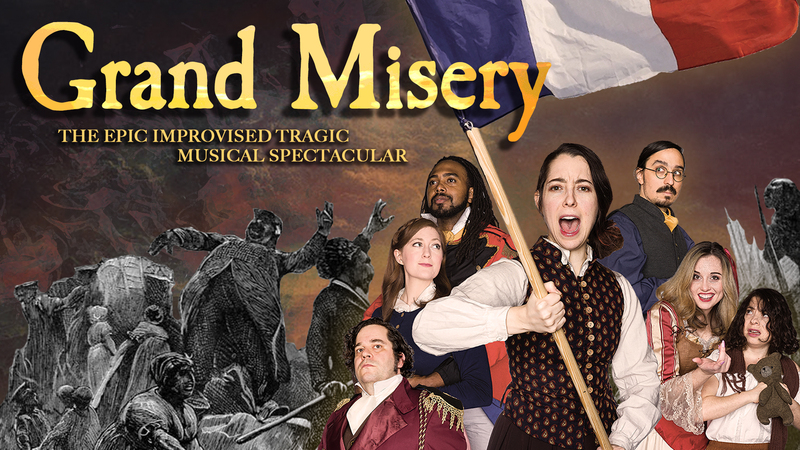 Grand Misery: The Epic Improvised Tragic Musical Spectacular. Coming to the Hideout Theatre Saturdays January 12-March 2.